Ironing is a task very few of us enjoy; however, having the right iron can make this tedious chore much less so. The features available on clothing irons differ depending upon how much you want to spend. There are also smaller, more portable irons available for travelers and larger professional grade irons available for dressmakers or those looking for a perfect finish. When shopping for an iron, look for durability, ease of use and the special features you need. The most basic iron has a metal sole plate and a dial to control the temperature. These irons are quite inexpensive; however, they may also be inadequate for your needs. With a simple dry iron, you will often need to use a spray bottle, sizing or starch to achieve an adequate press. These irons are also heavy, and rarely have additional features, like an auto shut-off or retractable cord. The majority of irons on the market are steam irons. These irons include a small water tank. The tank is filled with water, allowing the iron to produce steam. Steam will help create a smoother press job and neater finish when ironing fabrics like cotton or linen. A burst of steam is a common feature, allowing you to work on stubborn wrinkles. Additional features, including an auto shut-off and retractable cord, may be available on some steam irons. A recent innovation in clothes irons is the vertical steam iron. This iron produces steam like a standard steam iron, but can steam vertically as well as horizontally. Steaming alone may reduce many wrinkles and can offer a fast alternative to traditional ironing. You will spend more for this feature, but it can be an excellent time saver. The best quality irons include excellent steam features, easy temperature controls, auto shut-off and a retractable cord. Deluxe irons will also include higher quality non-stick sole plates, multiple steam holes and steam tanks that are easier to fill up. While an iron costing $100 or more may be excessive for many people, if you sew or regularly iron heavy duty fabrics, it may be well worth the money. Travel irons are smaller and lighter than standard irons. Many fold up to make them more compact for packing. They may or may not offer steam capabilities. Some may be cordless. 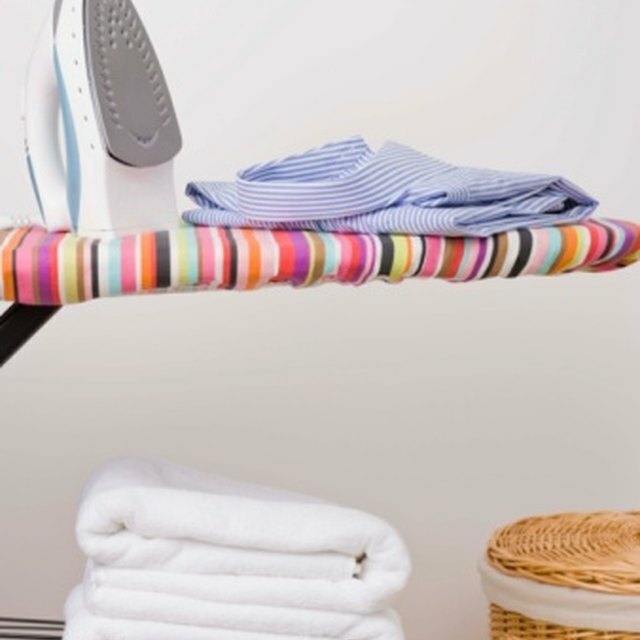 If you travel regularly, a travel-sized iron can be useful. However, many hotels have irons in the rooms or available at the front desk, so this may be less essential than you think. Choose a travel iron that is small, easy to use and will work well for your personal travel needs.